Clangor and Clangor. Let’s begin. If you are nervous, don’t be. Just concentrate hard and enjoy your time. Take a seat with three other members. Across from you will be an opposing team of four. Greet your opposing team with a smile. The purpose of the game is not to win, but to understand and reflect on others’ ideas. Everyone will have a chance to voice their opinions, so it’s fair. Are you ready? Let’s begin our discussion from now. Welcome to our world! “Today we can’t do anything alone. We need a team, and the only way to achieve a team’s success is communication.” These words were spoken by Steven Jobs who led 21st century developments. In reality,the key to success in today’s society is communication. Although it may have been possible to work alone in the past, today communication among people is the way to survive in the business community. Society demands teamwork and cooperation among members. To make this work, all work centers around good communication. The importance of discussions is continuously growing among university students in the world. To address this growth, each year there is an annual debate contest, World Universities Debate Championship (WUDC), that gives about 800 university students the opportunity to engage in discussion. This year’s grand champion was Bo Seo, a Korean student presently enrolled at Harvard University. Also, North Korea started to adapt discussion class. Students are divided into three separate groupings, and in those allotted groups, the members attempt to solve problems through discussion. Keeping pace with this global trend, universities and the younger generation in Korea have centered their education and leisure time around discussion. For instance, there are now discussion clubs, discussion contests, TV shows centering on discussion, and elective courses at university have discussion at the core of the curriculum. Sookmyung Women’s University requires its students to complete two essential elective courses: Discussion and Presentation in English and Critical Thinking and Discussion. Also, every year Sookmyung holds the Sookmyung Discussion Contest and discussion clubs on campus such as SMDC, Chung(聴) and the Fruits of Diligent Study(螢雪之功) have seen increased interest. Lastly, a large number of Sookmyungians are actively participating in WE.R.IN, which is the monthly the Sookmyung Times’ discussion forum. 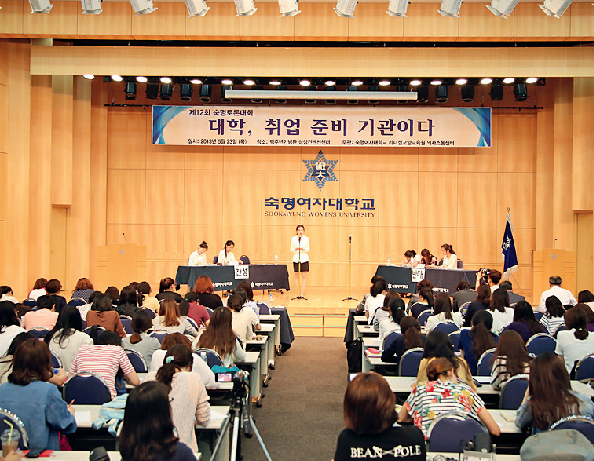 Even outside of Sookmyung Women’s University, there are plenty of chances for students to participate in discussion contests. 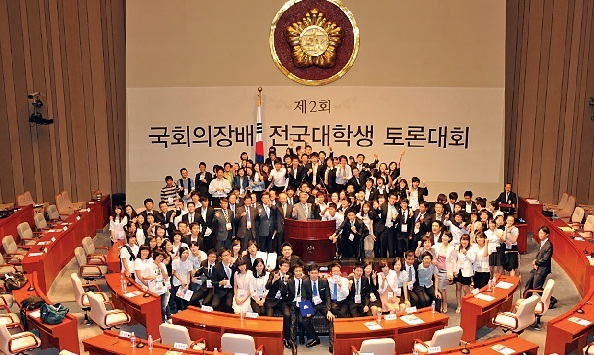 In total 16 universities throughout Korea like Soongsil University, Chungang University, and Kyunghee University hold discussion contests in which students across Korea may join. Arirang debates on TV is a new trend nowadays, and the shows are popular with young adults in their twenties. There are many of these types of programs such as University Discussion Battle 6 on tvN, Youth! Pierce Through Discussion on KTV and Reading Discussion Contest for University Students on EBS. Interestingly, University Discussion Battle 6 is currently ranked 7th in terms of most watched programs by Korean TV viewers. In short, interest in discussion is not unusual. Engaging in discussion and learning discussion skills has become the norm in society both in and out of Korea as well as at Korean universities. 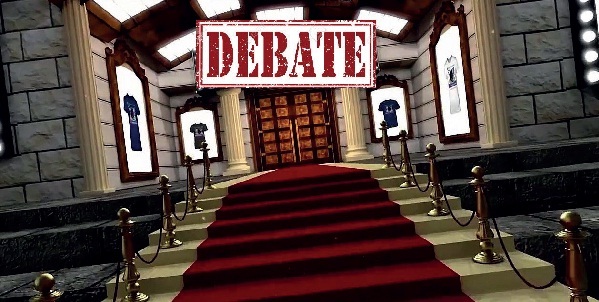 When people hear the word debate, most have the preconceived notion of a plain room with two opposing teams sitting across from each other with the master of ceremonies positioned between them. However, nowadays, it has changed and people in their twenties are enjoying the opportunity to engage in debate in new styles. Old stereotypes are breaking rapidly due to the influence of information and communication developments. Representative examples are MOOC (Massive Open Online Courses) and SNS postings, which enable people to join a debate from almost anywhere in the world. MOOC is considered as an innovative method of education because at one time no one imagined having a debate online. These lectures allow students, after listening to a lecture from a professor online, to form a study group and voice their opinions about the lecture’s content. This method of learning and teaching first started in the U.S.A near the end of 2000, but nowadays universities in Korea such as Seoul National University, Korea University, Hanyang University, and Sookmyung Women’s University have come together to establish K-MOOC(Korea-MOOC). According to Koo Gyohyun, TESL Major ’13, “Students are able to share and understand various viewpoints through MOOC discussions because we can form intellectual networks with companions throughout the world.” In short, debate is here to stay and enables us to transcend our own small domain. (*If you want to learn about MOOC, please refer to the article SMT IN U.S.A.) People may also participate in debate type forums with others by uploading comments on SNS, and it is the interesting changes about discussion. In reality, 59.6% of people in their twenties claim lectures via MOOC are very convenience because the courses allow them to upload their lecture opinions into Facebook or Twitter.1) In short, it can function as debate type forums. For example, in 2015 when a movie critic uploaded his review of Northern Limit Line onto his blog, his comments became the hot topic of an online debate. Due to the number of postings, it made headline news. In short, this started a debate and it prompted many younger adults to actively voice their thoughts. Nowadays, everyone’s life is connected to discussion. In reality, all communication at a company or a contest requires an individual to have the ability to cooperate and politely criticize others’ thoughts through debating. In fact, Samsung recently announced it would implement a new recruitment method from this year entitled Creative Debating Interview. In this unique type of interview screening, interviewees debate a topic not with other applicants, but the interviewers. According to one Samsung manager, “In the future, most companies will likely introduce various discussion ability assessment measures to determine applicants’ leadership skills, sociability, and cooperation skills.”2) In short, from now, new job seekers will need to become experts or have high levels of discussion abilities. Since the need for better discussion skills is on the rise, young adults need to make use of MOOC, engage in SNS comment postings, and practice for creative debating interview. Then, what are the concrete advantages of discussion and why is it important? First, discussion improves one’s presentation ability. Surprisingly, most students dislike presenting their ideas in front of an audience. According to a survey in which 488 students participated, 80% of university student respondents said, ‘There are few changes to engage in public speaking in class.’ 48.8% of these respondents added, ‘They feared presenting in front of others.’ 3) In short, most university students are uncomfortable with giving a presentation. However, Gwak Jisu, prize recipient in the last Sookmyung Discussion Contest, said, “The greatest benefit of debating is that it makes me more confident about presenting my ideas to others. I overcame my presentation anxiety by doing this activity.“ Therefore, group discussion helps young adults build confidence to express their opinions. graduation. In short, group discussion nurtures student as protagonists of education. Finally, students can actively listen to and reflect on others’ opinions, which may differ from their own in order to see the world from a wider view. According to Park Changuk, professor at Seoul National University, “The pleasure of discussion is that students can discover that their thinking can be incorrect and may not always be true, which is the real purpose of discussion.”4) The core part of a debate is not the utterances but the listening. By listening to an opposing thought, young adults can break their stereotypical thoughts. According to Lee Byungduk, representative of Koreaspeaks, “The real purpose of debating is never to win against others. Listening to and understanding various ideas make a group intellectual, and it has the power to change the world.5) Therefore, understanding and respecting are essential qualities for a successful debate.” The game requires respect because there are no incorrect answers. There are no finite answers when a person offers an opinion that is supported with specific support, explanation, details, or examples. Next, the game proceeds only with the use of critical thinking, not by blaming others. Reckless blaming of others is not power and does not lead to persuasion. To play well, each player must make use of her/his persuasive skills. Only by minding these rules will young adults keep the discussion game moving along the board.